Did you know that there are hidden targeting options that Facebook provides to certain advertisers? These fields are not included in the traditional targeting option and must be unlocked by a representative at Facebook or through a Facebook Advertising Agency like AdvertiseMint. 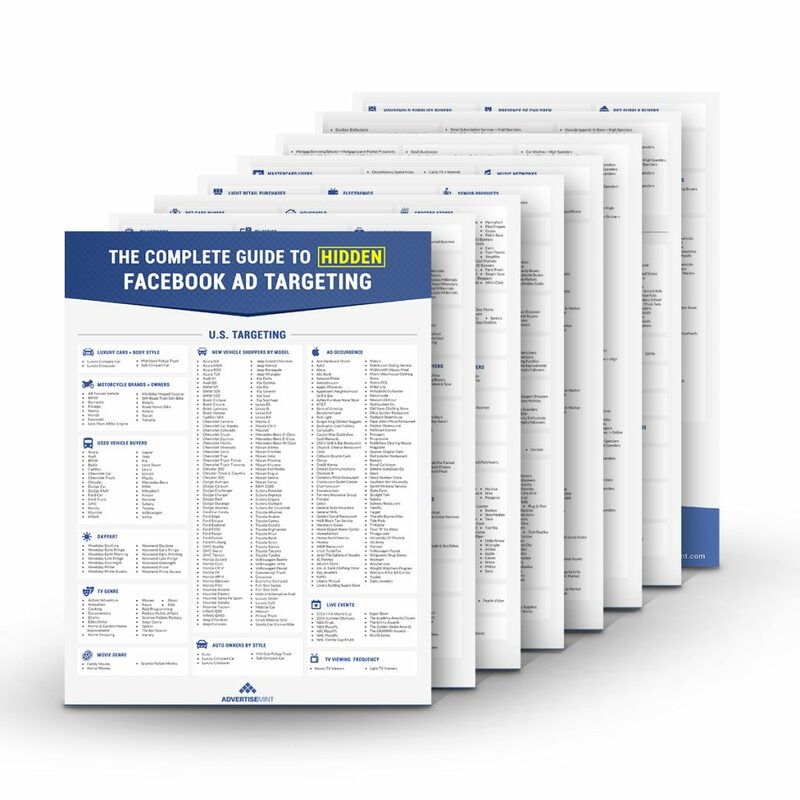 The Complete Guide to Hidden Facebook Ad Targeting includes over 2,000 additional ad targeting options and is an advanced resource for companies looking to grow their Facebook ad campaigns. To hire AdvertiseMint to help unlock these hidden ad targeting options for you, simply give us a call at 844-236-4686 ext 2 or contact us online. If you’re starting to advertise on Snapchat, please check out our Complete Guide to Snapchat Advertising and make sure to share that with your friends. If you need help setting up your Snap ads, please check out the AdvertiseMint Snapchat Advertising Agency Services.